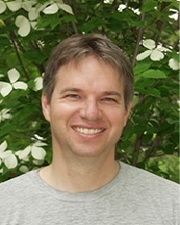 James Bever will present as part of the Division of Biology Seminar Series at 4 p.m. Jan. 27 in 221 Ackert Hall. The forces maintaining diversity within communities remains a central question in ecology, while resource partitioning remains the classic explanation for species coexistence. Bever will present evidence that interactions with microbiomes represent an important force driving plant species coexistence and turnover. They have found that both accumulations of host-specific pathogens and change in the composition of beneficial microbes such as mycorrhizal fungi can drive plant diversity, productivity and succession.